My husband (then boyfriend) and I decided a couple of years ago that we wanted to have a baby, so we started trying naturally pretty quickly from when we started dating because of our age. After a couple months of taking temperatures and using the ovulation kit, nothing was happening, so we sought out an infertility doctor who was recommended by a friend who had a successful experience. Over the next year, we attempted 6 IUIs (only one resulted in a chemical pregnancy miscarriage). I took a little break from all the medication and tried acupuncture for a few months. Still nothing. We decided to bite the very expensive bullet and go for IVF, thinking that there is no way it couldn’t work! I already had a very easy, successful pregnancy when I was 29. Now that I was almost 42, not so easy anymore! So, we financed IVF and started that process. The doctor retrieved almost 15 eggs, and only 5 fertilized, but like he said, you only need one! We were waiting for the fertilized eggs to reach 5 days so that they could be genetically tested. Well, on that fifth day, my doctor called to tell me none survived. I was absolutely devastated and felt that I just had old eggs. Such a hopeless feeling. Doc recommended that I take a little breather and come back to see him in 6 weeks, let my body go through a natural cycle and heal. That’s when I came across Natural Fertility. I had to do SOMETHING other than give up, so I scheduled a phone consultation with Sarah and it was so wonderful to hear that all hope was not lost. We reviewed my diet and made some tweaks to focus on foods that would help cleanse and provide the support my old uterus needed. I did the Fertility Cleanse and had a Fertility smoothie every day. It was something to do. Plus, Sarah was available for questions and was a wonderful support. My husband and I met with the doctor and I told him about all of this and he thought it was all rubbish, but I kept on. He talked us into trying IVF one more time. He changed up the medicine a bit and instead of holding my ovulation back a couple extra weeks, we went with my natural cycle, and instead of putting the eggs on ice, the plan was to do the transfer on day 3, thinking that maybe they just needed a warm body. So, we went back in. Doc retrieved I think 9 eggs, and again 5 fertilized. On day 3 he called to say that they were looking really good and wanted to wait until day 5. On day 5, he showed us a picture of 2 very healthy fertilized eggs with lots of cells and he transferred both of them. Two weeks later the nurse called me. I told her I didn’t want to talk to her because I could not handle any more bad news, and she said, “oh honey, it’s good news! You’re pregnant!” (crying with the memory!) I called my husband and we were just in shock! After 7 weeks, the second egg didn’t make it, but our little boy was strong. And now, we are expecting him to arrive any day now and he is healthy (according to all the tests)! All I can say is that the help and support from Natural Fertility had to have had SOME part in this success story. Maybe it was a little peace of mind, some empowerment, or maybe it was the herbs and diet. Whatever it may be, I am beyond grateful and would highly recommend any woman trying to get pregnant to engage with this invaluable resource. 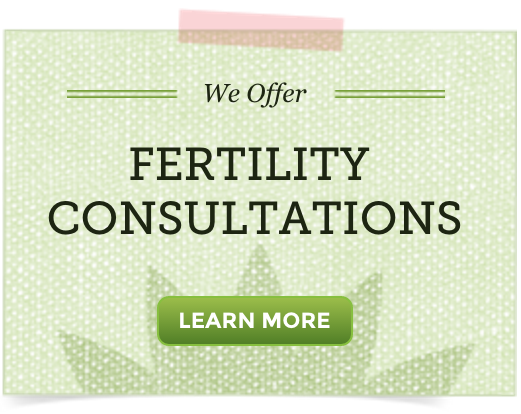 can you please invite my wife to the state to do begin this fertility cleanse once and for all? I will sponsor her coming and I believe she will share her success story too. We do not have a physical location in which one can come cleanse. I hope she is able to do so in your own home.